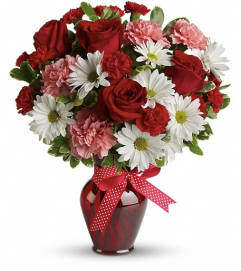 Be the object of her affections! 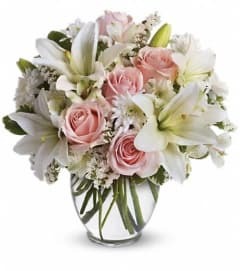 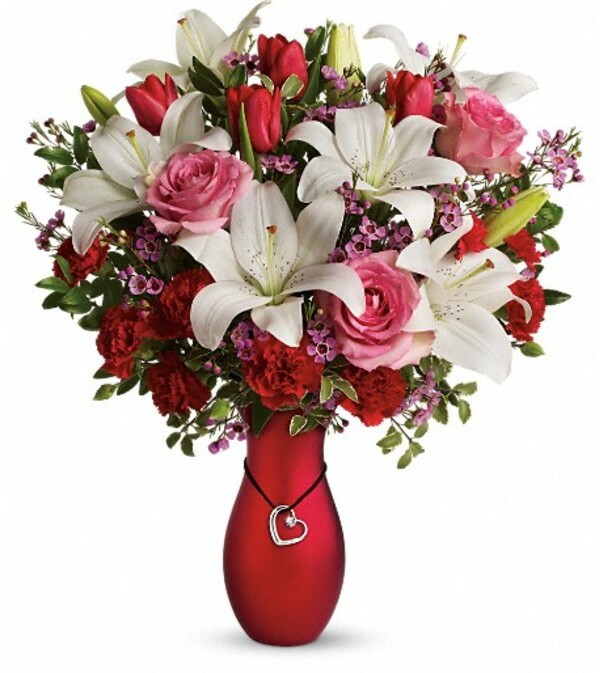 This gorgeous bouquet of pink roses and white asiatic lilies is arranged in a lustrous red ceramic vase, featuring a silver-plated heart pendant with a 1-carat SWAROVSKI® ELEMENTS crystal! It's a gift sure to delight!